Achieve your goal wherever you are with revolutionary training plans exactly in your mobile phone. 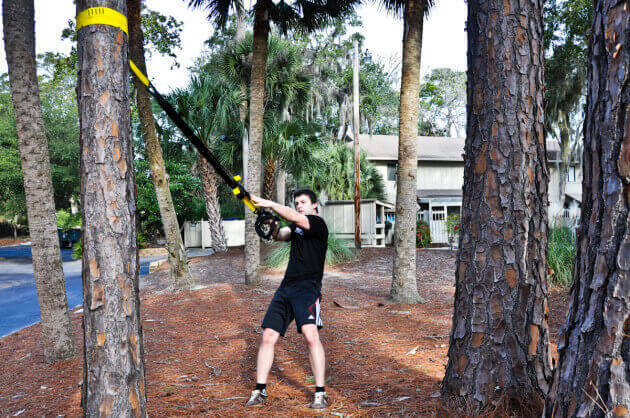 If you exercise TRX regularly at home, outside or with clients in a gym, there comes the time, you have no more ideas left for TRX workout plans. The change of workout is a key to good results and constant self-motivation. 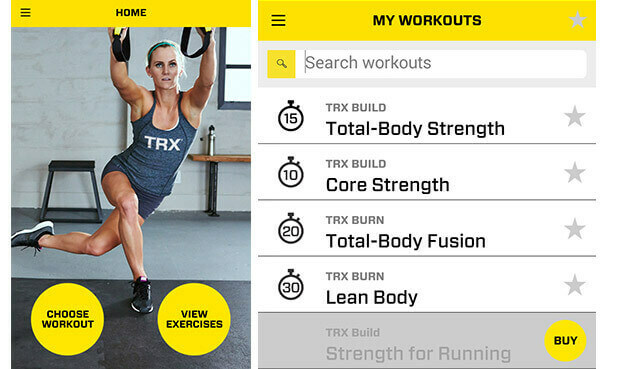 Where can you get the TRX app? 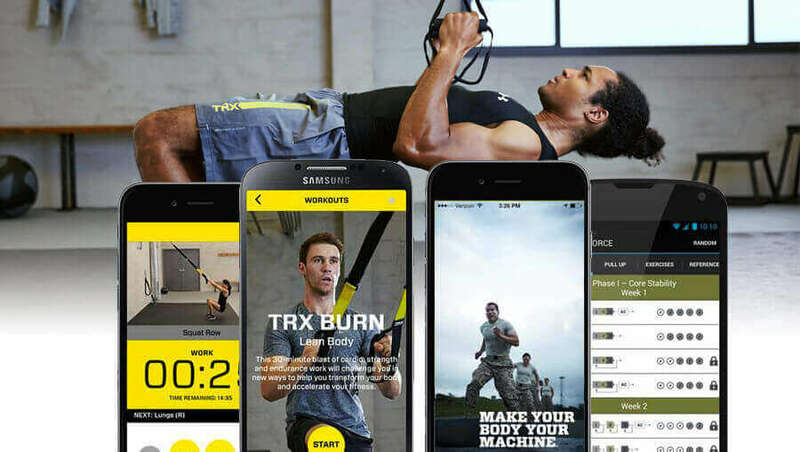 If you have been exercising for a certain time, you definitely know the application TRX FORCE Super App, which is a part of package TRX FORCE Kit: Tactical. You will open the application with a code which you will find in package (if you have bought original TRX). 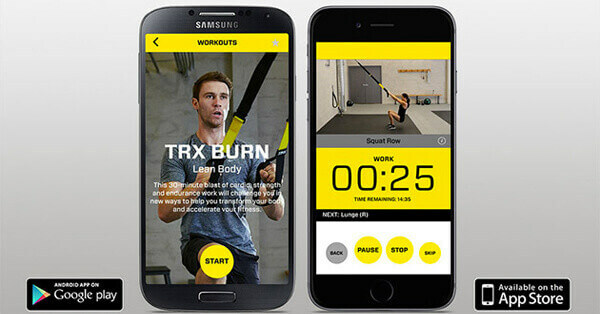 The company FITNESS ANYWHERE has recently released new mobile fitness application. Let us have a look at it. The collection of exercises contains instruction video, audio and description of how to perform the exercises correctly. The first 4 workout plans are for FREE, you may buy the next one directly in a mobile application at one click. What is the price of TRX workout plan? If the workout plans which are for free in application are not enough for you, you may buy individual widening workout plans. This is a well-chosen business model. You pay only for what you will use. Do you love jogging and you want to develop explosive power? Buy only this individual training. You will gain the video workout training with detailed description for only 2 USD. You will have it at your disposal all the time in your mobile phone. 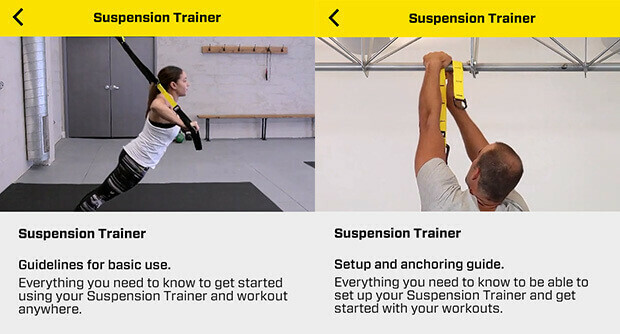 TRX training application can be downloaded from App Store or Google Play in a common way. There is no available application for operation systems Windows Mobile yet. How to install and capture TRX? How to set the length of TRX before exercising? How to change the difficulty of the exercise? 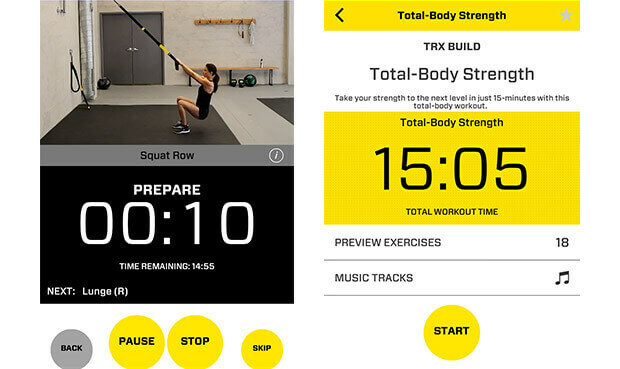 New mobile TRX Training application is more than digitalized version of a TRX home workout plan. It contains videos, timing of rest when exercising, description of methodic of correct exercise performance and setting the suspension TRX system.